Sometimes Satan says, “You say God loves you?” If He loves you, why are you suffering with cancer (or whatever the illness is)? How could a loving God inflict you with such a thing as that? — It is wonderful to know, however, that we have a good, good Father, and a loving Saviour who lavishes His love upon us. He knows what He is doing when circumstances like these come into our lives. It is then that we can simply trust and hope in Him, knowing He knows best, — so much better than we do; we don’t fully understand, but He does and that is enough for me! Hi Patricia. Thanks so much for leaving this comment. 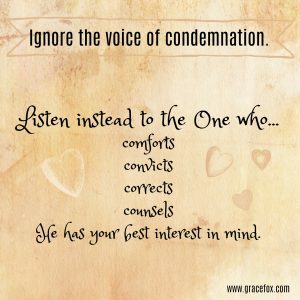 You’re right–Satan can so easily cause us to doubt God’s intent toward us when we suffer. That’s why knowing the truth about God’s nature is so important. I know that you know this firsthand!